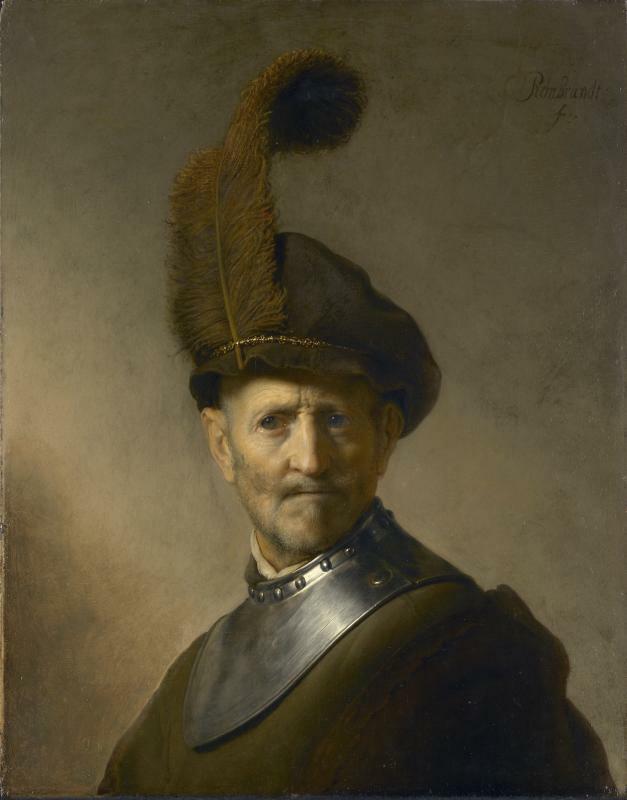 In this painting Rembrandt captures the different textures of a man wearing a uniform of metal, cloth and a feather. The man looks very determined and staring off in to the distance giving the impression that he is in a hurry to leave. The colors are very subtle. The man's bright blue eyes pop out against the earth tones. The burgundy of the burnt sienna in the hat contrasts the slight green in the coat.